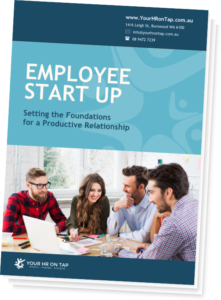 Are you lacking ideas on how to rejuvenate your employees, improve morale and increase their productivity? Everyone wants to have a successful and engaging workforce, but the reality is often quite the opposite. There’s no harm in admitting that you need some help to steer your team back in the right direction. Try encouraging employees to mingle with the project teams from different departments or company events. Organising some more informal events can be an effective way to encourage the mixing of staff, teams and ideas and re-engage employees. Here are a few quick ideas to get you started. Are your employees keeping quiet and not contributing in meetings? They might feel uncomfortable offering their opinion. Start by giving them opportunities to contribute on subjects they know, then break it down and find the reasons behind it. Promote and practice candour. In larger organisations, employees may never know their colleagues very well, if at all. The bigger a company gets, the more of a chance there will be this disconnect. So focus on fun ways you can encourage your employees to get to know each other. Simple things could be an informal morning tea fundraiser, lunchtime BBQ, or just start a footy tipping competition. Improving your employee engagement means being as a mentor for those employees facing personal issues or work problems, regardless of how busy you may be. Offer your help. Drop what you’re doing and just help! Some believe in giving out regular rewards even when the performance levels aren’t up to par. While well meaning, this handing out of rewards is more likely to hurt performance and employee engagement ever further. Look at the employee whose engagement levels are lacking, and you’ll see they probably prefer to work alone. One way to encourage more collaboration is by using an online (Intranet) system to gather comments and ideas on a project or work problem so that no matter how shy they are, they can still work with others on a team project. Set an example of being able to step away from the desk and have lunch with your employees. It’s also a great opportunity to learn about people.